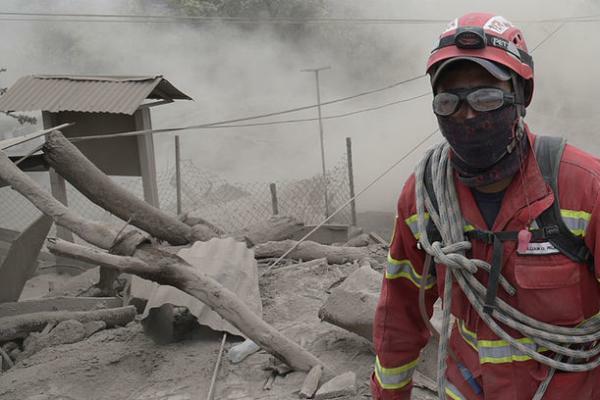 The search for survivors from deadly eruptions of Guatemala's Fuego volcano was temporarily suspended on Thursday due to dangerous conditions for rescue workers, as the death toll from the disaster reached 100, authorities said. The U.S. government expressed its "deepest condolences" to the victims on Thursday and said it was sending emergency aid at Guatemala's request, including an unspecified amount of financial resources to help meet food, water, and sanitation needs. The White House said in a statement that it was also dispatching aircraft to transport burn victims for treatment in Florida. "We should not underestimate the scale of this disaster. Critical, emergency needs are still enormous, and affected communities will need to be sustained and long-term support," IFRC president Francesco Rocca said in a statement on Thursday. "We hope it will not mean a secondary disaster," he said. Fuego, or "Fire" in Spanish, lies about 25 miles (40 km) southwest of the capital, Guatemala City, near the picturesque colonial city of Antigua, a UNESCO world heritage site.